Most organisations are facing a tsunami of data, says Mohit Aron, founder and CEO of Cohesity. 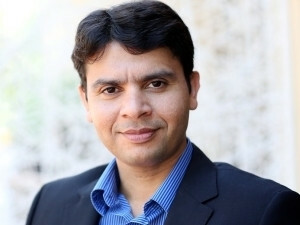 Mohit Aron, who led the design and development of the Google File System and co-founded and pioneered the hyper-converged infrastructure company Nutanix, says his new start-up company Cohesity has raised a total of $70 million in venture capital funding. Cohesity is a scalable data storage solution that converges all secondary storage workflows for backup and recovery, DevOps, and analytics onto a single platform. Aron, who claims to have pioneered the concept of hyper-convergence, founded infrastructure company Nutanix in 2009 and served as its CTO before leaving in 2013 to build Cohesity. He holds a PhD in Computer Science from Rice University and worked as an engineer at Google from 2003 to 2007. "After launching and growing Nutanix, as a start-up, I felt that there was another bigger opportunity to bring convergence to the part of the data centre that is exploding with data - secondary storage," said Aron in an interview with ITWeb. "That's why I decided to start Cohesity. I'm excited to be building this company with my brilliant, driven team and take on the mission of using Web-scale technology to help companies bring order to their data chaos. Some people like to travel. Some like to buy islands. I like changing the world this way - bringing disruptive technology to market. This is a passion. I build things around this technological passion." Cohesity closed a Series A round of $15 million led by Sequoia Capital and Wing Venture Capital last year, followed up last month by an oversubscribed $55 million Series B investment round led by ARTIS Ventures and Qualcomm, through its venture investment group, Qualcomm Ventures, with additional investment from Accel Partners, Battery Ventures, Google Ventures, and Trinity Ventures. According to the start-up, the Cohesity Data Platform eliminates the fragmentation and data sprawl in secondary storage by leveraging a Google-like, Web-scale architecture to converge these data silos for backup, development and analytics onto a single platform that enables businesses to simultaneously manage, protect, and learn from their data. While companies will continue to need purpose-built storage to deliver high performance for critical production applications, Cohesity alleviates the costly management overhead of using separate products and inefficiency of redundant data copies across these silos, it adds. Aron noted Cohesity "fully plans to have a global reach, so we would love to have presence in Africa once we start scaling internationally". He pointed out most organisations are facing a tsunami of data, and most of it is hidden from them across silos of storage products for backup, archive, development and test. "My vision is that using my experience with building Web-scale systems, Cohesity will deliver the ability to converge these separate workflows together for data protection, DevOps and even analytics into a single, intelligent platform that enables organisations to be both more efficient and get more value from their data." Cohesity will leverage its significant venture capital backing to transform the secondary storage market by bringing together capabilities provided by a vast array of storage vendors on a single, unified platform that empowers organisations to reap the financial benefits of Google-like Web-scale economics, and do more with their data, the company says. Key backing from top-tier investors, including Google Ventures and Sequoia Capital, bolsters Cohesity's mission to reinvent the way every business thinks about its secondary storage infrastructure, it concludes.